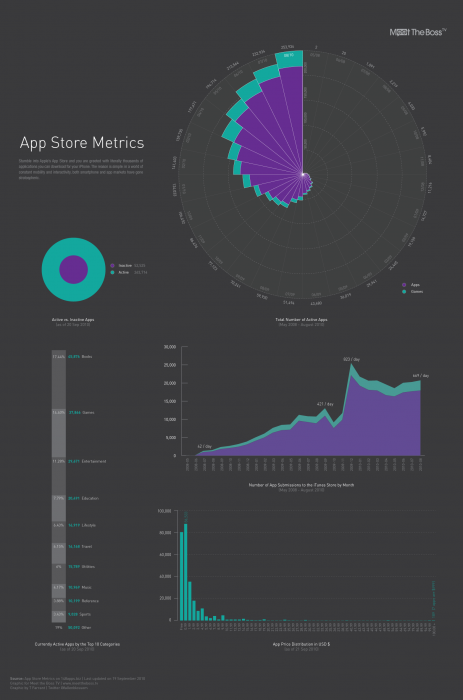 There’s a series of interesting App Store metrics contained in a handy (but large) infographic you can go grab from a business-focused website right now. These little visual nuggets of information include data on just how many inactive apps exist, how quickly the App Store has grown and much more. The stats come from executive-focused website, Meettheboss.tv, but haven’t been provided out of pure altruiism — the website is advrtising the launch of its own app. (Naturally that app is designed to give users access to all the website’s content, including video and more).